The IELTS Mastery program supports you to achieve an IELTS band score for entry into many colleges and universities in Canada and the USA. To help you achieve your IELTS target, the course will combine daily instruction with practice tests, and test-taking strategies. Your teachers will monitor your progress throughout the program and give ongoing feedback to help you strengthen any weak areas, and to keep you on track. Our onsite IELTS staff are also available to help you with the IELTS test registration process. The program includes one IELTS test, which must be taken at ILSC within 30 days of completing the program. IELTS is an internationally recognized test of English proficiency. 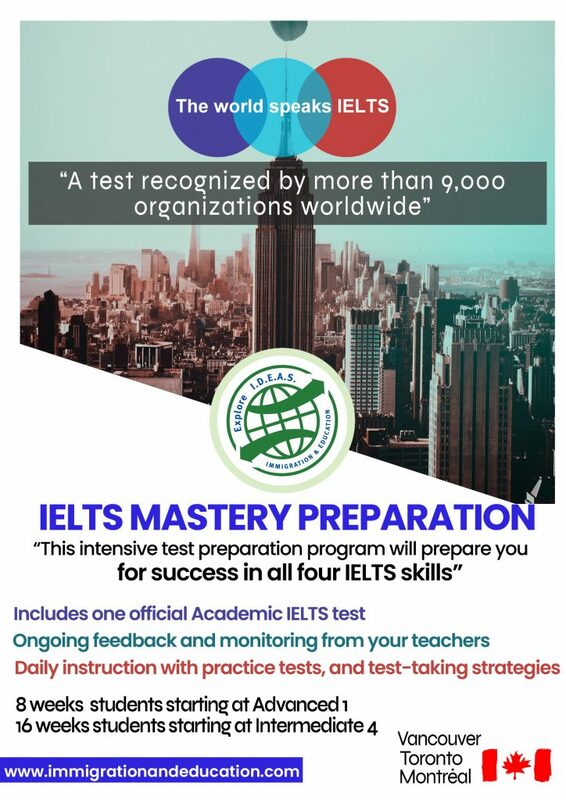 IELTS test results are recognized by more than 9,000 organizations worldwide, including universities, immigration departments, government agencies and multinational companies. Targeting and achieving an IELTS score opens up global opportunities for study, work and migration.